The western lake, Tiwi Ata Mbupu (Lake of Old People) is commonly blue. Tiwu Nua Muri Kooh Tai (Lake of Young Men and Maidens) and Tiwu Ata Polo (Bewitched, or Enchanted Lake), which share a common crater wall, are commonly green- and red-colored, respectively, although lake colors vary periodically. During the dry season reduction processes let Ba, Cu, and As minerals precipitate, in the wet season, the oxidation and precipitation of iron minerals (ferric oxide: Fe2O3) produces intense red colors. Active upwelling occurs at the two eastern lakes and is probably fed by subaqueous fumaroles. 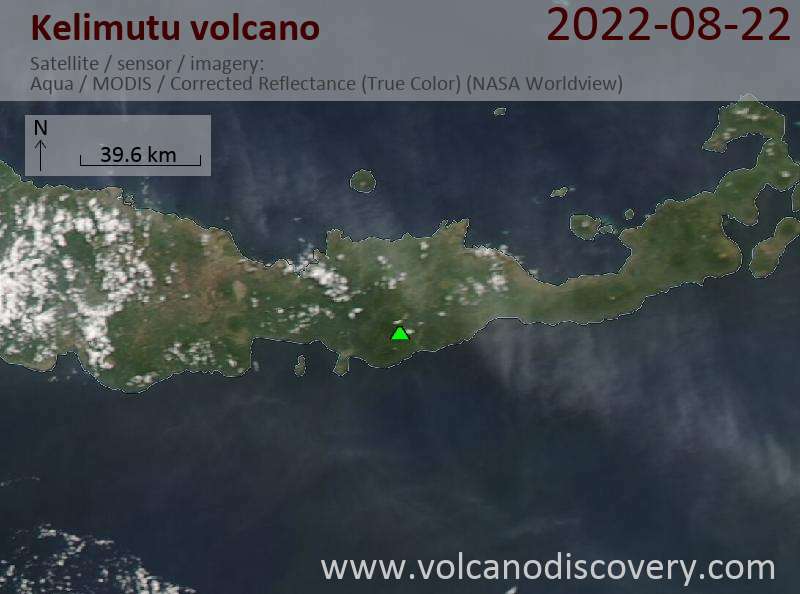 Kelimutu volcano is flanked by the older cones of Kelido and Kelibara 3 km to the north and 2 km to the south, respectively. 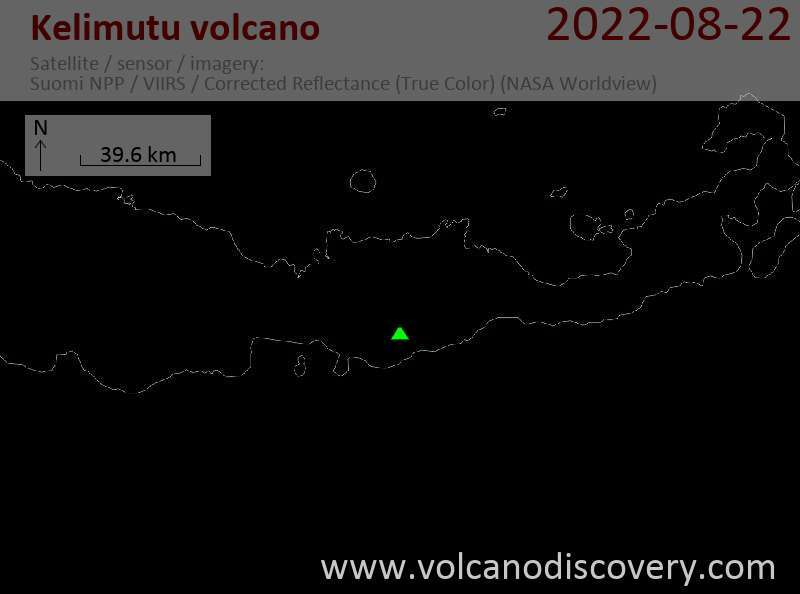 Kelimutu showed increased seismic activity in February-April 1993, with 318 deep and 196 shallow earthquakes recorded.